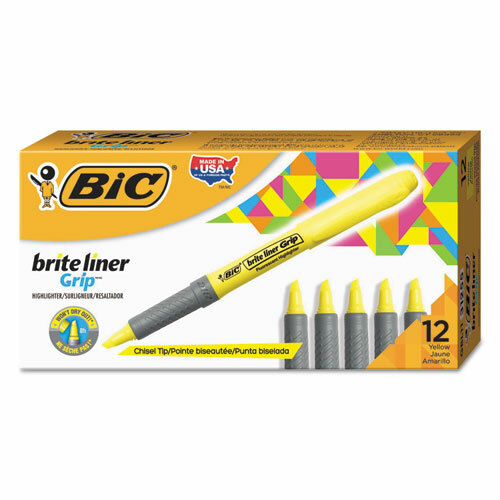 BIC Brite Liner® Grip Pocket Highlighters have super-bright fluorescent ink for attention-grabbing highlighting and a textured rubber grip for added comfort. Chisel tip is ideal for both broad highlighting and fine underlining. Won’t dry out if the cap is left off for eight hours.